The breakfast crowd at the Pelican Café had begun to arrive, as people did every morning when it opened at six a.m. The café had opened its doors in the fifties and been going strong ever since. Of course, it had passed through a dozen different owners, had its ups and downs, and been near financial ruin more than once. The bell above the door rang as a young mother and her little girl walked in and headed for one of the light blue vinyl booths. Melissa Young, Olivia remembered, was her name. Liv made a point of getting to know her customers— just not too well. While Melissa grabbed a child’s high seat and settled one-year-old Suzy in it, the waitress, a slim little blonde named Katie McKenzie, grabbed the coffeepot off the burner behind the counter and headed for the booth. Katie smiled as she filled Melissa’s mug and handed her a menu. “I’ll give you a minute to decide,” Katie said, hurrying off to another table to refill an earlier patron’s cup. One of the changes Liv had made was to hire a new cook—one who wasn’t high on marijuana half the time. Wayne Littlefish was Alaska Native, reliable and great in the kitchen. An older man, Charlie Foot, worked the dinner shift. Liv had also hired two part-time waitresses instead of one full-time worker, which gave each of the girls a more flexible schedule and made taking time off easier for all of them, including Olivia and long-time employee, Nell Olsen. A buxom woman with thick, silver-streaked black hair, Nell had worked at the café for more than ten years. She was as much a fixture as the sky-blue interior, the ocean theme, and the anchors and fishing nets on the walls. Nell had been invaluable in helping Liv take over the business since, aside from waiting tables for the past couple of years, being a fairly decent cook, and a very fast learner, Liv had almost no experience in running a restaurant. Still, in the last six months she had managed to keep the old clientele happy and add new customers. The tourist season was just starting, so business was getting even better. Olivia busied herself wiping off the long Formica-topped counter as Rafe shoved through the door, ringing the bell above. Seating himself in his usual booth, he stretched his long legs out in front of him. Rafe was a regular in the café, which sat on North Harbor Drive right across from the boat dock. As the owner of the café, Olivia caught most of the local gossip. According to Cassie Webster, the other part-time waitress, Rafe Brodie had dated a woman named Sally Henderson for nearly three years, until she dumped him four months ago because he refused to marry her. Apparently, he’d made his intentions—or lack thereof— clear from the start, but Sally hadn’t believed him, poor girl. Dedicated bachelor or not, Nell and Katie were right. With the thick, dark brown hair curling just over his collar, the faint shadow of beard that usually lined his hard jaw, and those hot, whiskey-brown eyes, he was one of the best-looking men Olivia had ever seen. Oh, she’d been pleasant enough when she had to be, spoken to him for a moment when she’d been introduced to him at a chamber of commerce mixer right after she’d bought the café, but she always managed to be too busy to wait on him. Still, as she worked taking orders and delivering meals to the patrons at the counter, she couldn’t help an occasional glance in his direction. He had always reminded her of a dark-haired lion, powerful and dangerous yet fascinating in some primitive way. He looked different today, the shadow along his jaw darker, as if he hadn’t had time to shave, his handsome features set in grim lines, and faint shadows under his eyes. She watched as Nell chatted with him a moment, then Liv watched the easy smile Nell usually gave him slip from her face. The coffeepot wavered. Rafe grabbed the glass pot to keep her from dropping it and spilled hot coffee over his hand. “I’m all right,” Rafe said. “It’s no big deal.” But he accepted the wet cloth and looped it over the back of a big, suntanned hand. The man was all of six-four, two-hundred-plus pounds, with a solid, athletic build and very wide shoulders. Liv was five-nine, but Rafe was more than half a head taller. She tried not to stare at his mouth, which seemed harder this morning without the smile he always had for Nell. Olivia felt the blood seeping out of her head. She found herself sinking down on the bench opposite Rafe. “Oh God. That’s why Cassie didn’t show up for work this morning.” The reason Olivia had had to call Katie. “I still can’t figure why Scotty was down at the dock,” Olivia said. Olivia thought of the young woman who worked for her, imagined her pain, and her throat went tight. In the six months she had been running the café, she and Cassie had become close friends. Or at least as close as Liv could allow. Nell just nodded. Picking the coffeepot up off the table, she headed for the breakfast counter, set the pot on the burner at the back. Removing her sky-blue Pelican Café apron, she slipped out through the side door near the rear of the building. Liv glanced across the table at Rafe. His jaw looked iron hard, his eyes so dark she could barely see a hint of gold. For the first time it occurred to her that Rafe was hurting, too. Scotty was his first mate and they were friends. Cassie had said Scott idolized Rafe, had thought of him as an older brother. “There’re eleven guys in the Valdez department. Eleven police officers to cover two-hundred-seventy square miles, including the pipeline terminus.” Valdez was the end point of the Alaska pipeline. The huge oil shipping facility at the edge of town was one of the things that made Valdez famous. Along with the Exxon Valdez oil spill. Eleven million gallons killed 250,000 seabirds and hundreds of otters and seals, a disaster it took thirty years to recover from. That and the biggest earthquake in U.S. history. More recently, the tiny town was a place known for its majestic scenery and fabulous fishing. “What about the State Troopers?” Olivia asked. “Maybe he can,” Liv said, but she didn’t really trust the police. Hadn’t since she’d been forced to run for her life and couldn’t count on the police to help her. Liv watched his jaw settle into a determined line and thought of the vow he had made. Clearly it was a promise he meant to keep. “Thanks . . . Liv.” Rafe’s gaze fixed on her face. It was the first time he had used the more familiar version of her name. Olivia didn’t like the way her stomach lifted at the way he said that single, softly spoken word. 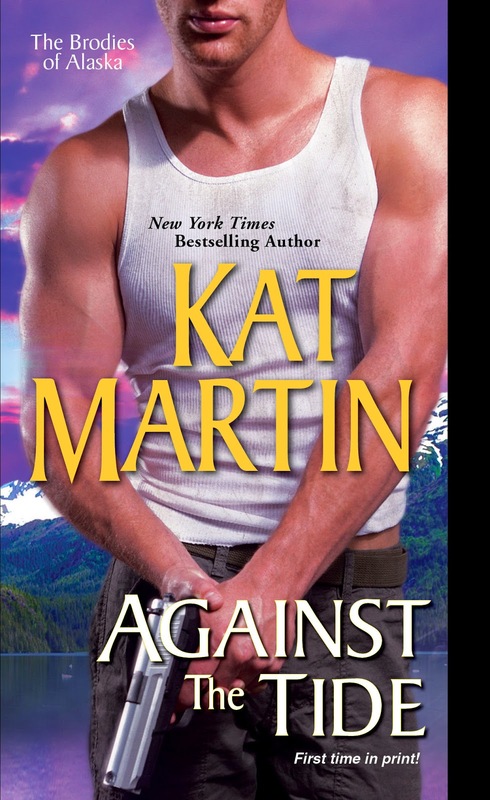 Kat Martin is the New York Times bestselling author of more than sixty books across multiple genres. Sixteen million copies are in print and she has been published in twenty-one foreign countries, including Japan, France, Argentina, Greece, China, and Spain. 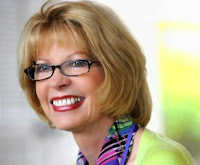 Her books have been nominated for the prestigious RITA award and won both the Lifetime Achievement and Reviewer’s Choice Awards from RT Book Reviews.